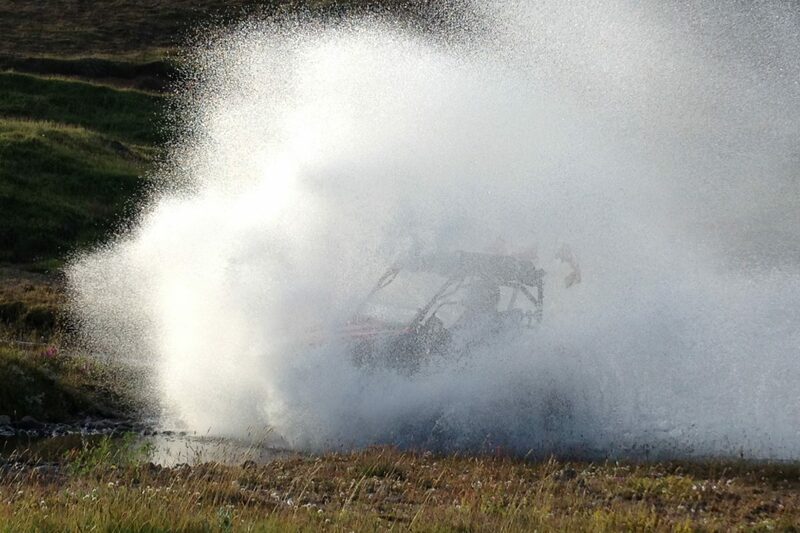 Mountain buggy is a great pick for those that want something challenging as well as a good experience that will last a lifetime! 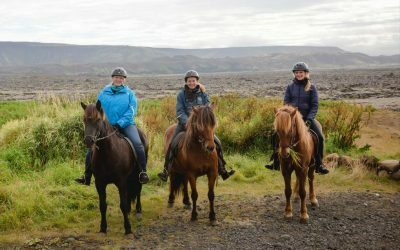 A great way to see and experience Icelandic nature close to Reykjavík. 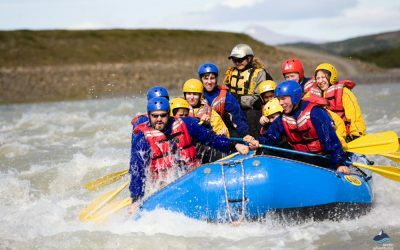 Join us on an adventure full of adrenaline and great landscapes. Pick up time: 12:00 – 13:00 from your Reykjavík accommodation. Meet on location time: 13:20. It is a little bit more technical than Buggy Original but nothing that you should be afraid of. After pick up in Reykjavik we will head to our base camp where we will gear up and go over safety features. 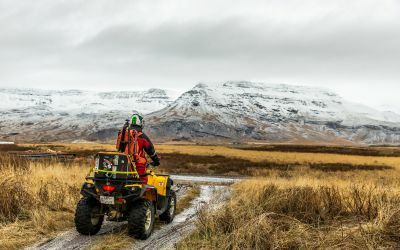 The Buggy Extra tour is a two hour ATV ride in the outskirts of Reykjavik and it’s the perfect way to enjoy the Icelandic nature. 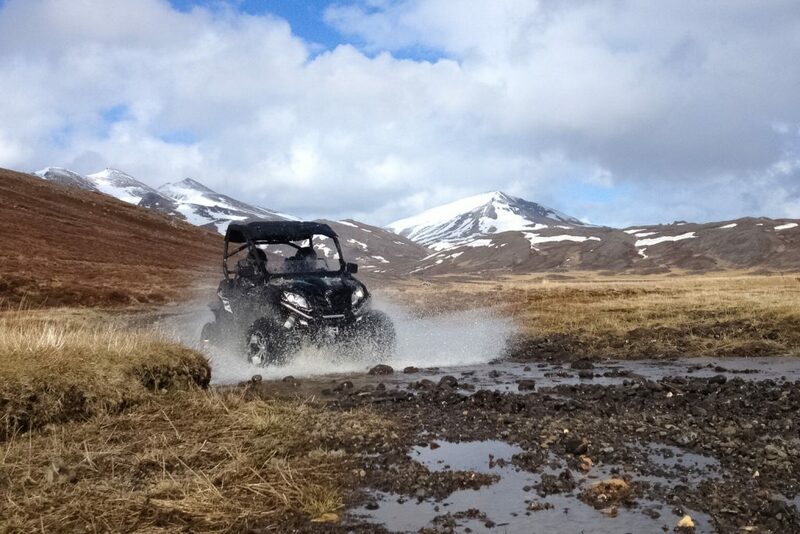 Enjoy the tour riding together with your buddy in a two-seat Buggy driving up hills in the roots of Esja mountain. 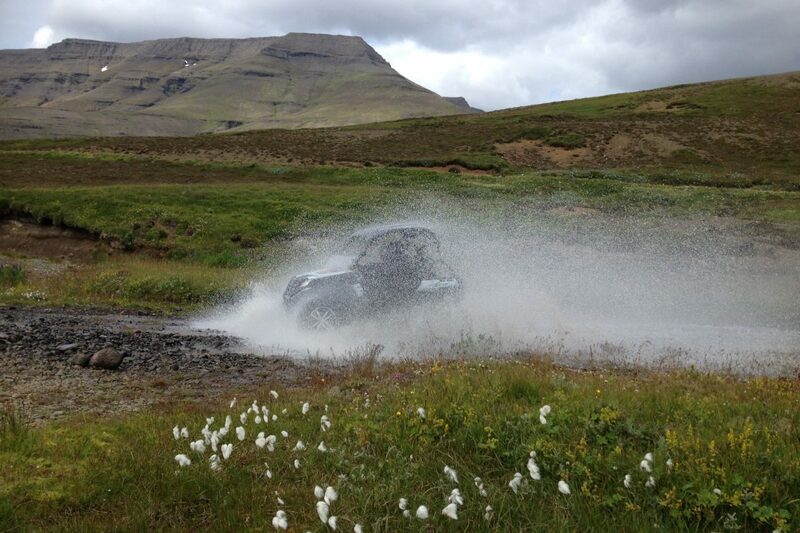 While you drive through the stunning landscape you will cross rivers and water streams. During winter you could be driving over snow and it is absolute fun! However in a bad and cold weather some people might feel cold sitting still in the buggy. If you are in that group the 1 hour tour might be more suitable for you. Good to know: There will be a stop on the way so both participants will be able to drive. You need a valid driving license to operate the buggy. 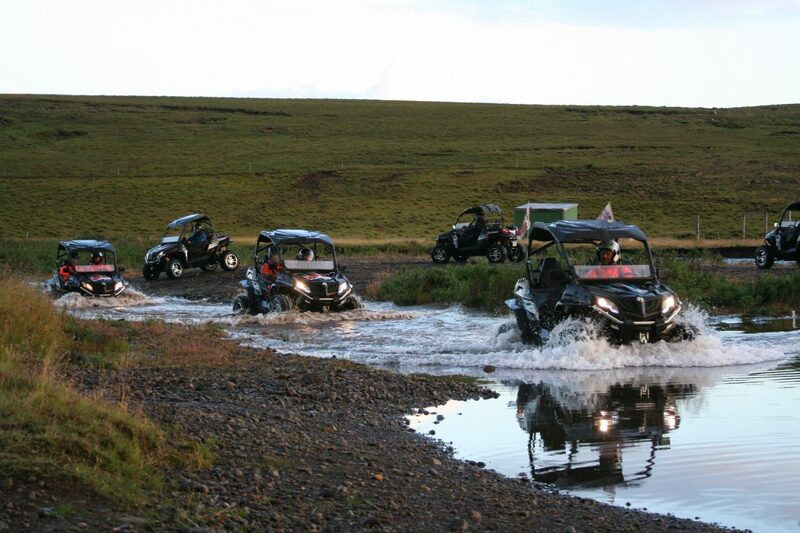 Roar into a world of active volcanoes with a full-throttle ATV ride and underground caving through the same lava fields! 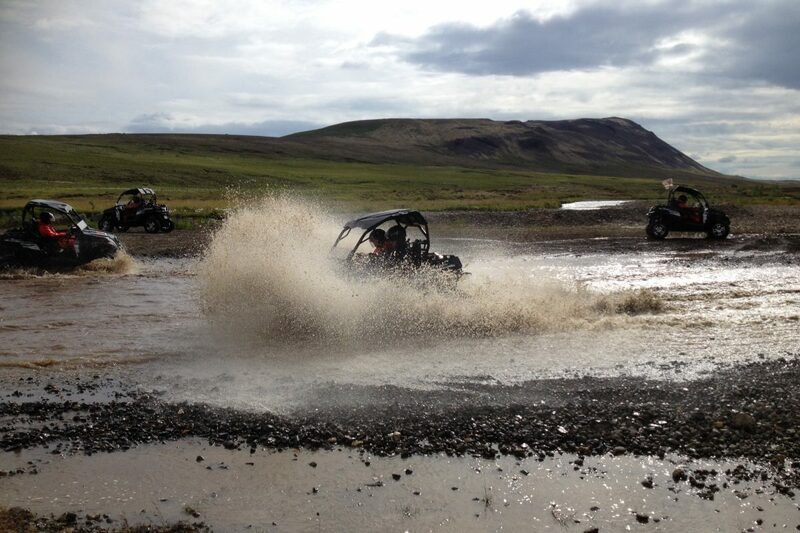 Trot, gallop, and tölt through a volcanic moonscape, then switch gears with a full-throttle off-road ATV mountain ride! 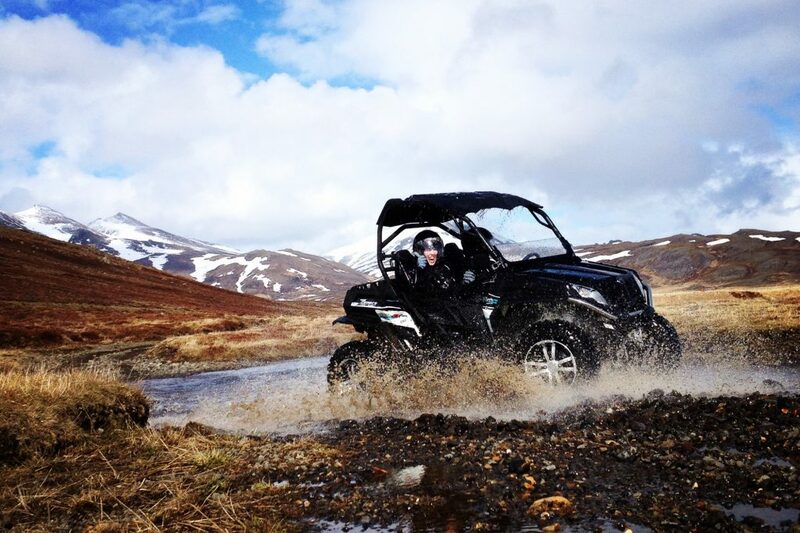 From wheels to waves, explore the best of Iceland's rugged wilderness in one action-packed day of adrenaline and fun!